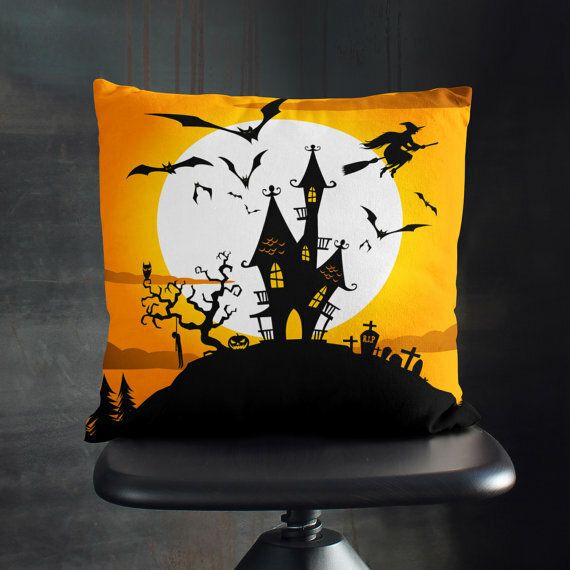 I've seen a lot of festive-but-too-cutesy pillows for Halloween this year. 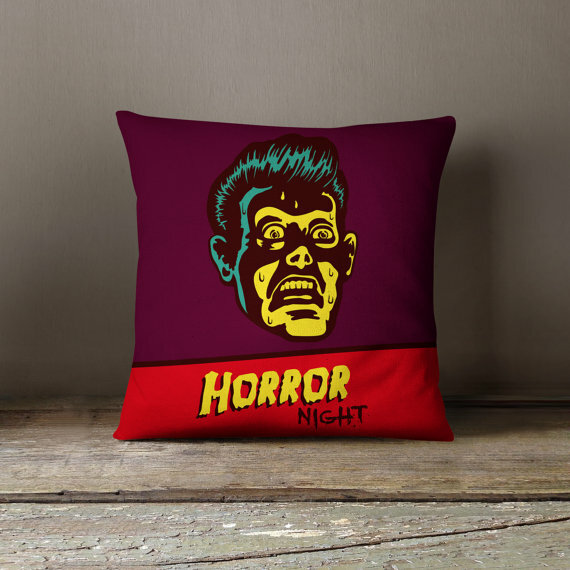 Finally, I have found some scary pillows by wfrancisdesign on Etsy. Not only are they super freaky, but they cover all kinds of scary genres from aliens to serial killers. Take a peek! 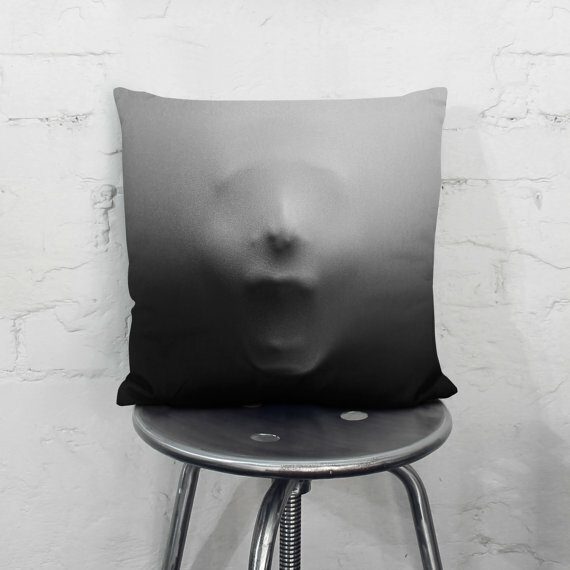 If you're looking for a really unique horror show pillow this is it! Set this out on your couch before a scary movie night. Layout some plastic tarps and throw red paint all over it to make it look like a murder scene. Put out this creepy Halloween pillow for some extra scare factor. No one wants to be stuffed in a pillow! 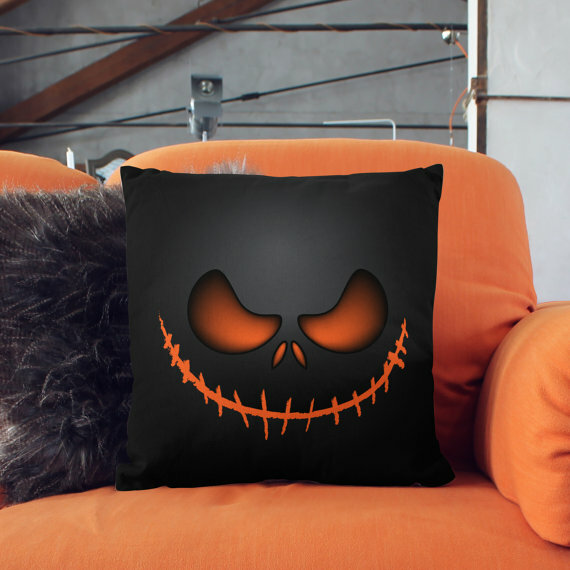 Jack Skellington's evil grin is awfully sinister on this Nightmare Before Christmas pillow. The three dimensional effect actually makes it look creepier. I am so glad they have an alien pillow cover! Don't you wish they had more alien decorations for Halloween? It's one of my favorite Halloween themes. I really love this haunted house pillow case. Everything looks so twisted and surreal. My favorite part about this pillow is probably the hanging man in the cemetery, it's so ominous! 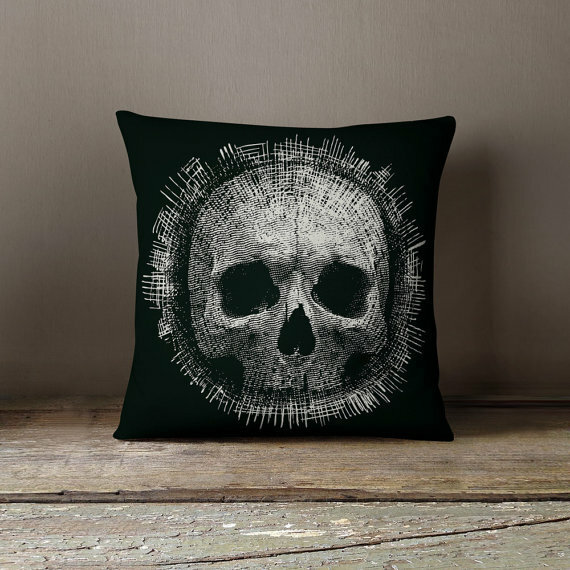 The sketchy design on this skull pillow cover really adds an eerie effect. I can't tell if that's just cross hitching or needles surrounding the skull. I don't think that this witch pillow cover is that scary. 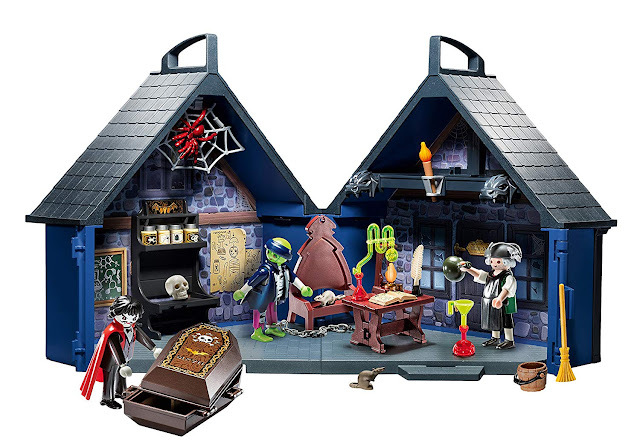 I enjoy how the witch looks more modernized. She's not a creepy old hag anymore. Be frightened that Death is probably looming over you! Or at least he will be on the couch next to you with this death pillow. 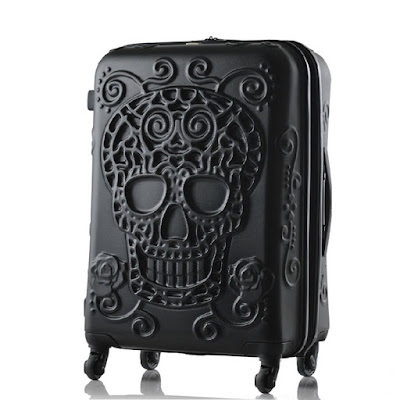 The Grim Reaper looks like it is ready to take the next poor soul. 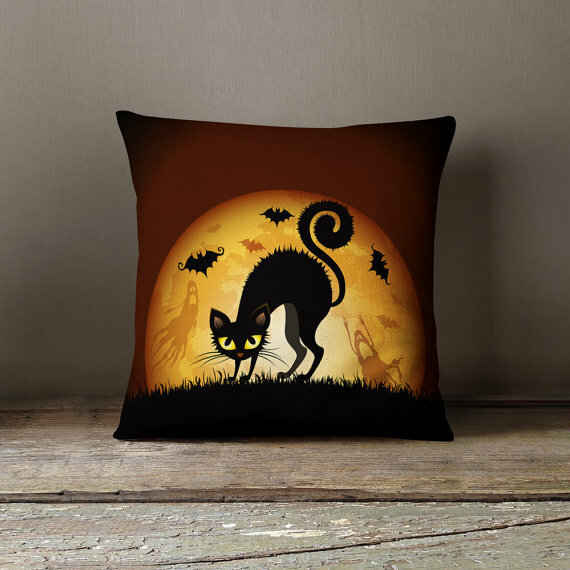 Even though the cat on this Halloween pillow cover isn't scary, it's still fairly unique! The ghosts are actually a bit terrifying in the background. I can hear them wailing already! 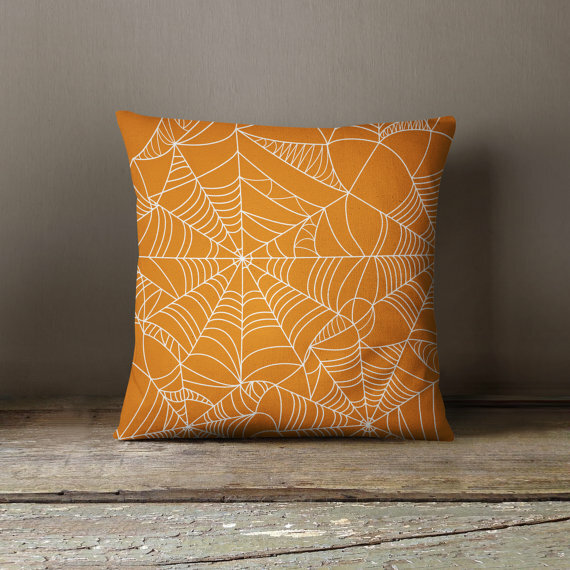 This spiderweb pillow cover is a fun one. 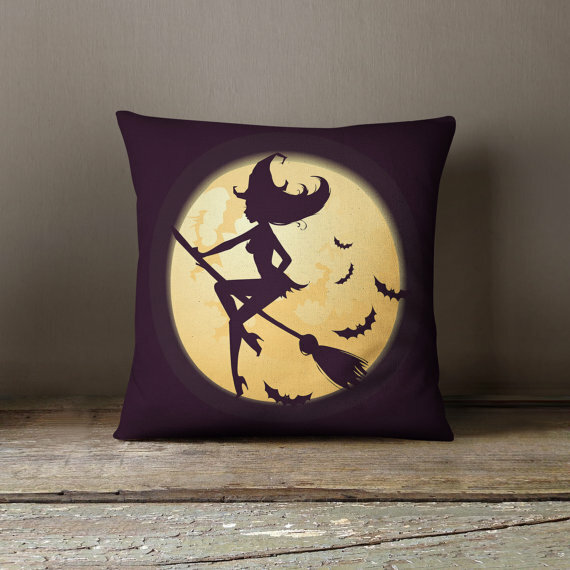 Plus it's easy to stick this pillow in with any kind of theme for your Halloween party. Remember, you have to decorate all your couches and chairs! 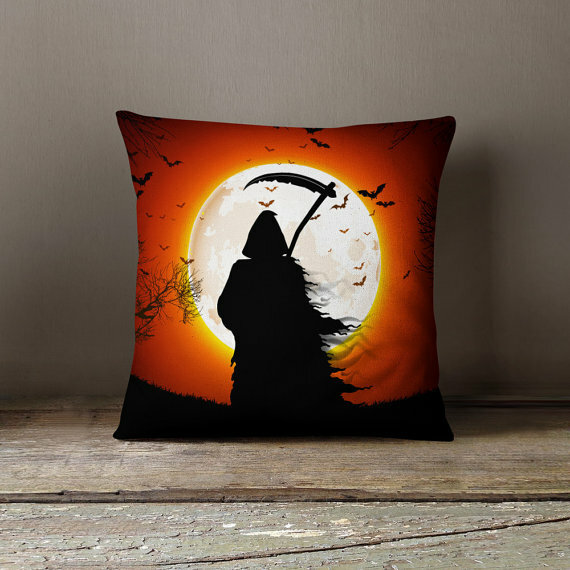 Check out some of these scary pillows by wfrancisdesign on Etsy. Which one will you use this year? 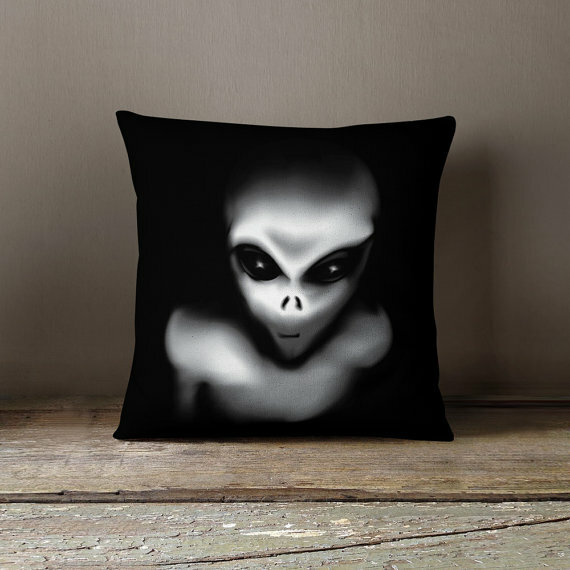 I've been thinking of doing a space themed Halloween party for a while, so I'm leaning toward this alien pillow cover! Comment below!